Bees have been experiencing mass die-offs, to a degree that worries researchers and people who depend on these buzzing pollinators. Actually, everyone depends on them, because they keep our food sources pollinated and growing, but farmers and beekeepers are on the front lines of the emergency. Stuart and Cedar Anderson are a father and son pair living in the Australian countryside, who have been trying to promote beekeeping for about ten years. They realized one of the main things keeping people from attempting it was the difficulty. Beekeeping can me a messy process, with many steps. Fast Company reports that three years ago, the Andersons launched Flow Hive, which eliminated some of the difficulty and made beekeeping far more feasible for the amateur apiarist. They reached their goal of $70,000 on IndieGoGo within minutes, and eventually raised $12.2 million. Now, they've released an updated version of Flow Hive that's even more efficient. 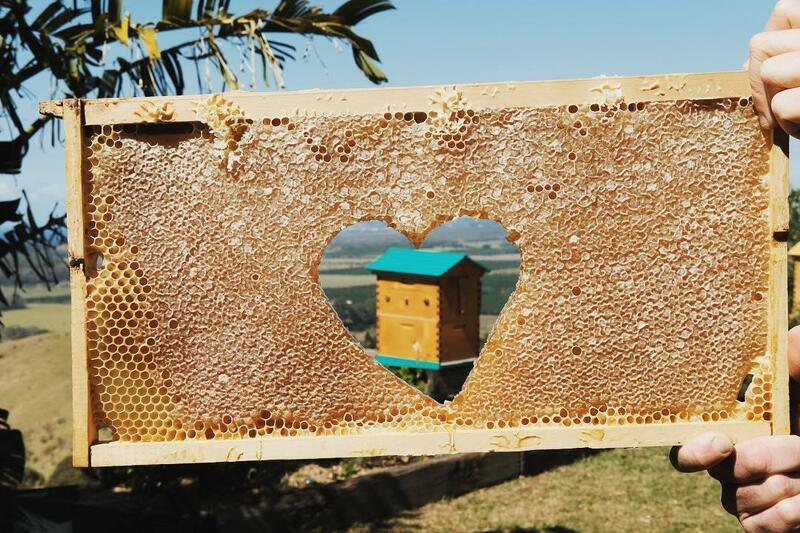 Flow Hive provides bees with pre-made honeycomb, but the bees are fine with it. They still fill the artificial comb with honey, then seal them with their own wax. A window into the hive shows the keeper when the comb is full. They can then pull a level, which moves the comb so it twists out the honey, which can then be released via tap into a jar. This is a big change from removing the slabs of comb from the hive piece by piece to drain them. Flow Hive has sold 51,000 hives, and they say most of them are going to new beekeepers. More people are taking up beekeeping than ever, which is kind of a mixed bag. If an area has too many bees, that can mean there's less food for them. Some feel the focus should be on promoting areas with wildflowers that are free of pesticides, to support the colonies that are already there. Plus, it would also help out other pollinators, who are endangered by lack of food and chemicals in much the same way bees are. Also, though many people are taking up beekeeping, they are abandoning the projects in higher numbers, after discovering the difficulty of the process. However, Flow Hive offers a simpler alternative to people trying to get the feel for the practice, and the company has created a network amongst people who loves bees and want to see pollinators thrive. Many have reported sharing honey with neighbors as a way to start a conversation about foregoing pesticides. Bees are becoming the ambassadors of change in neighborhoods everywhere.